Patsy Matsu Takemoto was born in Paia, Hawaii Territory, on December 6, 1927, one of two children raised by Suematsu Takemoto, a civil engineer, and Mitama Tateyama Takemoto. She graduated from Maui High School in 1944 as class president and valedictorian and went on to attend Wilson College in Chambersburg, Pennsylvania, and the University of Nebraska at Lincoln before graduating with a BA in zoology and chemistry from the University of Hawaii in 1948. Mink originally planned to pursue a medical degree, but turned to law school after several medical schools turned down her application. Three years later, she earned a JD from the University of Chicago Law School, the first Hawaiian nisei woman to do so. In 1951 she married John Francis Mink, a graduate student in geology at the university. The couple had one child, a daughter named Gwendolyn, and moved to Honolulu. Facing discrimination from bigger firms due to her interracial marriage, Patsy T. Mink went into private law practice and lectured on business law at the University of Hawaii.2 In 1954 Mink founded the Oahu Young Democrats and worked as an attorney for the territorial house of representatives in 1955. Mink won election to that body in 1956 and 1958 before winning a seat in the territorial senate, where she served from 1958 to 1959. In 1959, when Hawaii achieved statehood, Mink set her sights on the new state’s lone At-Large seat in the U.S. House of Representatives and began to campaign for the post. Hawaii’s Delegate and Democratic “boss,” John Burns, remained in Washington, DC, until June, when he suddenly began working behind the scenes to rearrange the Democratic ballot to his liking. He convinced Daniel K. Inouye to abandon his Senate campaign and file for the House seat instead, frustrating Mink’s efforts and forcing a primary. Though Mink was also one of Burns’s protégés, she frequently broke with party leadership in the territorial legislature. Throughout her career, Mink never had a warm relationship with the state leaders of her party; she attributed their lack of support to her unwillingness to allow the party to influence her political agenda.3 Additionally, Burns viewed Inouye as his successor, and the two worked together atop the state Democratic Party for many years. The famously liberal International Longshore and Warehouse Union switched their endorsement from Mink to Inouye, who won by a 2 to 1 margin in the primary, leaving Mink to focus on her legal career.4 Mink returned to politics in 1962, winning a seat in the Hawaii state senate, where she served from 1962 to 1964 and eventually chaired the education committee. In 1964, after reapportionment created a second seat for Hawaii in the U.S. House, Mink again mounted a grassroots campaign that relied on a staff of unpaid volunteers; her husband, John, served as her campaign manager, “principal sounding board,” and “in-house critic.”5 She ran without the blessing of the state Democratic Party leadership, raising campaign funds largely in small individual contributions. Mink barely edged out two other Democrats in the October primary to secure her spot on the ballot alongside Spark M. Matsunaga, Daniel Inouye’s successor in the House. Mink stressed her independence in the general election even as many Democrats arranged deals to support one of the Republican nominees to defeat her.6 With help from President Lyndon B. Johnson’s landslide victory in the presidential race, Mink and Matsunaga were elected as the state’s two At-Large Representatives. In a four-way race, she received 27 percent of the total to become the first Asian- American woman and just the second woman from Hawaii to serve in Congress. In the House, Mink successfully sought a seat on the Committee on Education and Labor, on which she served from the 89th Congress (1965–1967) through the 94th Congress (1975–1977). In her second term, she also joined the Committee on Interior and Insular Affairs and, in the 93rd (1973–1975) and 94th Congresses, served on the Budget Committee. Mink maintained a focus on national issues, especially those affecting Asian Pacific Americans (APA) and the Pacific region. She fought to preserve family reunification provisions in several proposed immigration reform bills and worked alongside Representative Matsunaga to educate Americans about the internment of Japanese Americans during World War II.12 As a member of the Interior and Insular Affairs Committee, she supported the economic and political development of the Trust Territory of the Pacific Islands. As chair of the Subcommittee on Mines and Mining, she helped author the landmark Surface Mining Control and Reclamation Act of 1975, and in the following year helped to pass a major overhaul of the Mineral Leasing Act of 1920. The House failed to override President Gerald R. Ford’s veto of the Surface Mining Control and Reclamation Act, though a similar measure was eventually signed into law in 1977. Mink was once again appointed to the Committee on Education and Labor (later Education and the Workforce) and also was assigned to the Government Operations (later Government Reform) Committee. During the 103rd Congress (1993–1995), she was on the Natural Resources and Budget Committees, serving on the latter through the 105th Congress (1997–1999). Mink continued to pursue legislative reform in health care and education. Believing that voters cared more about quality health coverage than any other domestic issue, she advocated a universal health care plan that would allow people of all economic backgrounds to receive medical treatment. Mink combined two of her long-standing interests when she cosponsored the Gender Equity Act in 1993. Disturbed that gender discrimination still persisted in the United States 20 years after the passage of Title IX, Mink asserted that targeting gender bias in elementary and secondary education would help reduce inequalities between the sexes. She told the House, “We must assure that schools all across this country implement and integrate into their curriculum, policies, goals, programs, activities, and initiatives to achieve educational equity for women and girls.”26 Mink continued to crusade for women’s rights by cochairing the Democratic Women’s Caucus in 1995. 1Patsy T. Mink, oral history interview by U.S. Association of Former Members of Congress, 6 March 1979, 26 March 1979, 7 June 1979, Manuscript Reading Room, Library of Congress, Washington, DC: 74. 2Don T. Nakanishi and Ellen D. Wu, “Patsy T. Mink,” in Distinguished Asian American Political and Governmental Leaders (Westport, CT: Greenwood Press, 2002): 129. 3Mink, oral history interview: 16. 4John S. Whitehead, Completing the Union: Alaska, Hawai‘i, and the Battle for Statehood (Albuquerque: University of New Mexico Press, 2004): 315–317; Raymond Moley, “Hawaiian Primaries Show ILWU Power,” 11 July 1959, Los Angeles Times: B4. 5Mink, oral history interview: 31. 6“Fong, Gill Win Hawaii Races; Woman Captures Spot in House Contest,” 5 October 1964, Chicago Tribune: A6; Mink, oral history interview: 15–16. 7Mink, oral history interview: 25. 9Office of the Clerk, U.S. House of Representatives, “Election Statistics, 1920 to Present,” http://history.house.gov/Institution/Election-Statistics/Election-Statistics/. 10Nancy S. Gates, “Patsy T. Mink, Democratic Representative from Hawaii” in Ralph Nader Congress Project: Citizens Look at Congress (Washington, DC: Grossman Publishers, 1972): 9; “Sharpening Day- Care Debate,” 11 December 1971, Christian Science Monitor: 18. 11Mink, oral history interview: 46. 12Diwata Fonte, “For Asian-Americans, Mink’s Death Hits ‘Deeply,’” 7 October 2002, Roll Call: A20. 13Current Biography, 1968 (New York: H.W. Wilson Company, 1968): 255. 15Mink, oral history interview: 98. 17“Title IX: A Sea Change in Gender Equity in Education,” 10 July 1997, U.S. Department of Education, https://www2.ed.gov/pubs/TitleIX/part3.html (accessed 1 September 2016). 18Congressional Record, House, 94th Cong., 1st sess. (18 July 1975): 23504–23506; Congressional Record, House, 107th Cong., 2nd sess. (17 July 2002): 13370–13371; “Gwendolyn Mink Oral History Interview,” Office of the Historian, U.S. House of Representatives, 14 March 2016. 19Hope Chamberlain, A Minority of Members: Women in the U.S. Congress (New York: Praeger Publishers, 1973): 313. 20Politics in America, 2002 (Washington, DC: Congressional Quarterly Press, 2001): 290–291. 21Wallace Turner, “Ex-Gov. Quinn to Face Matsunaga in Hawaii,” 4 October 1976, New York Times: 10. 22James T. Patterson, Grand Expectations: The United States, 1945–1974 (New York: Oxford University Press, 1996): 146. 23Patsy Sume Saiki, Japanese Women in Hawaii: The First 100 Years (Honolulu, HI: Kisaku, Inc., 1985): 132. 24Tania Cruz and Eric K. Yamamoto, “A Tribute to Patsy Takemoto Mink,” Asian-Pacific Law & Policy Journal 4, no. 2 (Summer 2003): 594–595. 25Office of the Clerk, U.S. House of Representatives, “Election Statistics, 1920 to Present,” http://history.house.gov/Institution/ Election-Statistics/Election-Statistics/. 26Congressional Record, House, 103rd Cong., 1st sess. (21 April 1993): 8021. 27David S. Broder and Kenneth J. Cooper, “Asian Pacific Caucus,” 22 May 1994, Washington Post: A10. 28Alethea Yip, “Mink Leads APA Caucus: Hawaii Representative Warns of Tough Times Ahead,” 6 October 1995, AsianWeek: 6. 29Politics in America, 2002: 290–291. 30Politics in America, 2000 (Washington, DC: Congressional Quarterly Press, 1999): 403–404. 31Congressional Record, House, 107th Cong., 2nd sess. (26 July 2002): 5852. 32Elissa Gootman, “Patsy Mink, Veteran Hawaii Congresswoman, Dies at 74,” 30 September 2002, New York Times: B10. 33James Gonser, “Case Wins; Set Sights on Jan. 4,” 2 December 2002, Honolulu Advertiser: 1A. 35Martin Weil, “Rep. Patsy Mink Dies; Hawaiian Pushed Liberal Causes,” 29 September 2002, Washington Post: A9. Papers: 1883-2005 (bulk 1953-2002), 1,530 linear feet. The papers of Patsy Mink contain correspondence, memoranda, writings, speeches, notes, interviews, questionnaires, legislative files, testimony, casework, law practice client files, court documents, statements, press releases, appointment books, scheduling files, travel itineraries, campaign files, card files, biographical material, student papers, family papers, scrapbooks, news clippings, printed matter, awards and honors, political ephemera, maps, photographs, and other papers relating chiefly to Mink's service in the U.S. House of Representatives. Subjects include gender equity, Title IX, Women's Educational Equity Act, education, women's rights, welfare, environment, U.S. territories in the Pacific, Asian- American affairs, consumer affairs, civil rights, labor, immigration, health care, Vietnam, and nuclear weapons testing. Also documents Mink's private law practice in Honolulu; involvement in Hawaii and national Democratic politics; service in Hawaii's territorial and state legislatures; activities as assistant secretary of state for oceans and international, environmental, and scientific affairs; president of Americans for Democratic Action; and chair of the Honolulu City Council. A finding aid is available in the repository. Oral History: 1979, length unknown. An oral history interview of Patsy T. Mink conducted on 6 March 1979, 26 March 1979, and 7 June 1979 by the Association of Former Members of Congress. Papers: In the National Organization for Women. New York Chapter Records, ca. 1966-1973, 3.5 linear feet. Correspondents include Patsy Mink. An unpublished finding aid is available in the repository. Papers: In the Edith Green papers, 1955-1975, 376.2 cubic feet. Persons represented include Patsy Mink. Papers: In the Dolores Alexander papers, 1960-1973, 4 linear feet. Persons represented include Patsy Mink. Papers: In the Candidates for public office campaign materials, 1966-1976, 0.5 linear foot. Persons represented include Patsy Mink. Papers: In the Peggy Lamson papers, ca. 1967, 0.5 linear foot. Includes phonotapes and transcripts of interviews of congresswomen and women in government service, which Peggy Lamson conducted for her book titled Few Are Chosen (1968). The collection contains an interview with Patsy Mink. An unpublished finding aid is available in the repository. Papers: In the National Organization for Women records: Series I-XVI, 1961-1999, 83 linear feet. Persons represented include Patsy Mink. Papers: In the Papers of NOW officers, 1971-1976, 1.25 linear feet. Persons represented include Patsy Mink. Papers: 1965-1982, 2 linear feet. Includes papers relating to the career of Patsy Mink in her roles as congresswoman, local official, lawyer, and lecturer. Papers: In the Women Strike for Peace papers, ca. 1961-1973, 40 linear feet. Correspondents include Patsy Mink. A finding aid is available in the repository. Sound Tape Recordings: In the Martha Wright Griffiths sound recordings, ca. 1957-1978, amount unknown. Featured participants on tapes include Patsy Mink. Papers: In the Carl Bert Albert congressional papers, ca. 1910-1976, 1,000 cubic feet. Other authors include Patsy Mink. Papers: ca. 1956-1972, 3 linear feet. The Patsy Mink collections contains congressional reports, copies of bills, speeches and addresses given by Patsy Mink, and an oral history interview transcript. 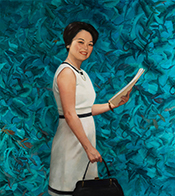 The material in this collection displays Patsy Mink's political concerns, including affirmative action and strip mining legislation. The collection is stored in an off-site facility. Contact the curator of Special Collections regarding retrieval. Davidson, Sue. Jeannette Rankin and Patsy Takemoto Mink: A Heart in Politics. Seattle: Seal Press, 1994. Mink, Patsy T. "Energy and Environment: Which is Undermining Which?" Natural Resources Lawyer 9 (1976): 19-39. "Patsy T. Mink" in Women in Congress, 1917-2006. Prepared under the direction of the Committee on House Administration by the Office of History & Preservation, U.S. House of Representatives. Washington: Government Printing Office, 2006. "Patsy Takemoto Mink" in Asian and Pacific Islander Americans in Congress, 1900-2017. Prepared under the direction of the Committee on House Administration by the Office of the Historian and the Office of the Clerk, U.S. House of Representatives. Washington: Government Publishing Office, 2018. Ralph Nader Congress Project. Citizens Look at Congress: Patsy T. Mink, Democratic Representative from Hawaii. Washington, D. C.: Grossman Publishers, 1972. ___. "Reclamation and Rollcalls: The Political Struggle Over Stripmining." Environmental Policy and Law 2 (December 1976): 176-80. U.S. Congress. Senate. Nomination of Patsy T. Mink: Hearing before the Committee on Foreign Relations, United States Senate, Ninety-fifth Congress, first session, March 22, 1977. 95th Cong., 1st sess., 1977. Washington: Government Printing Office, 1977. Gwendolyn Mink describes her mother's decision to oppose the Vietnam War.